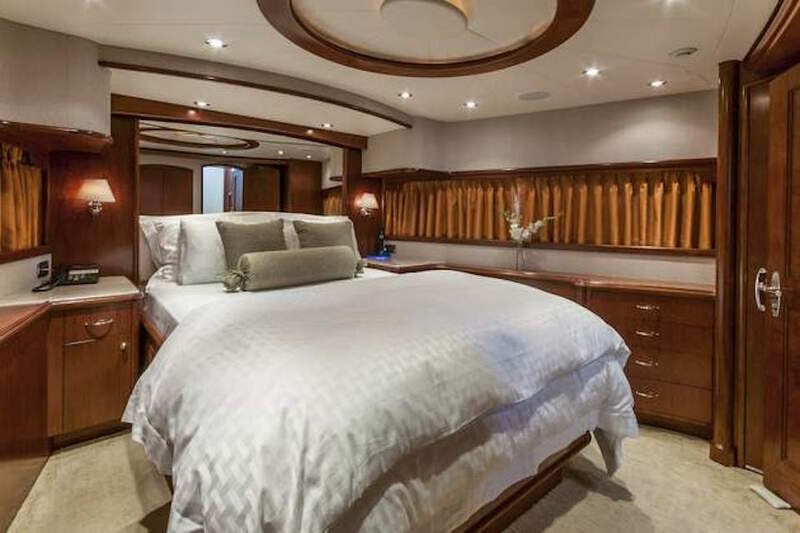 Motor Yacht EQUATION (ex Attitude, Shear Fantasea, Centinela III, 99 Problems) is a 34,11m (111' 11") Crescent yacht built in 2002 with interior design by Robin Rose and Mauritzo Cabal. 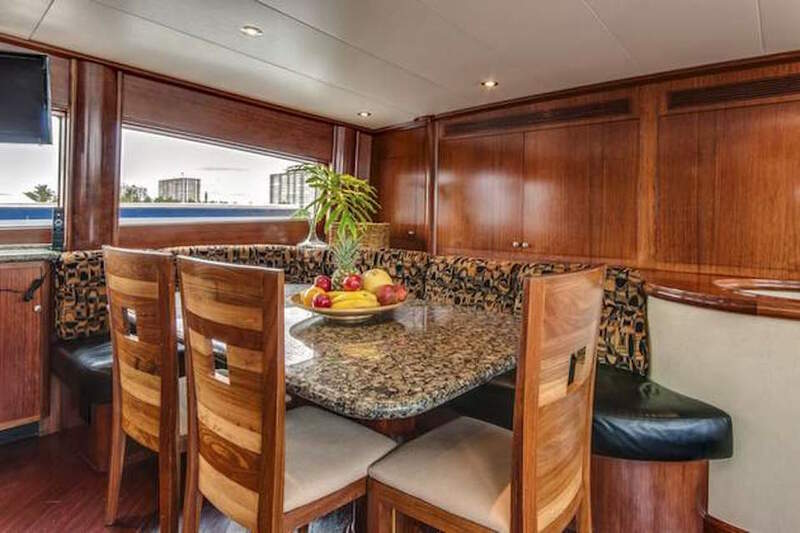 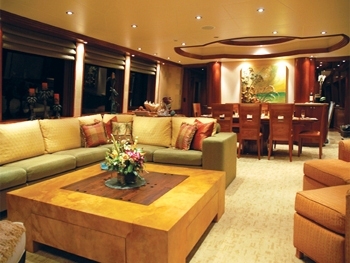 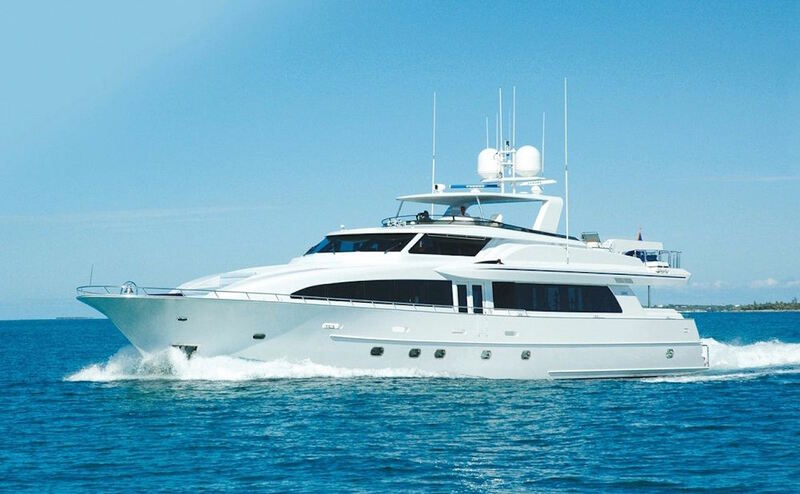 She can accommodate up to 8 guests in 4 cabins and has an experienced crew of 5. 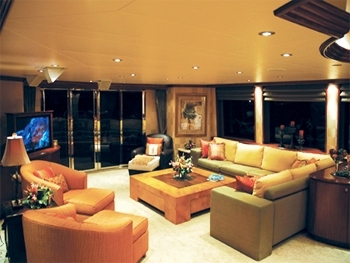 EQUATION has a spacious main salon with huge windows. 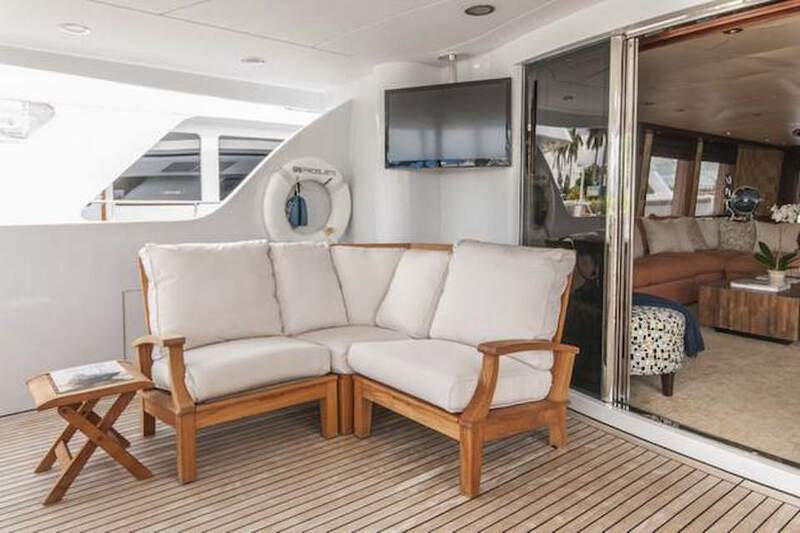 There is comfortable seating including three arm chairs with ottomans opposite an L shaped sofa to port with a large square coffee table. 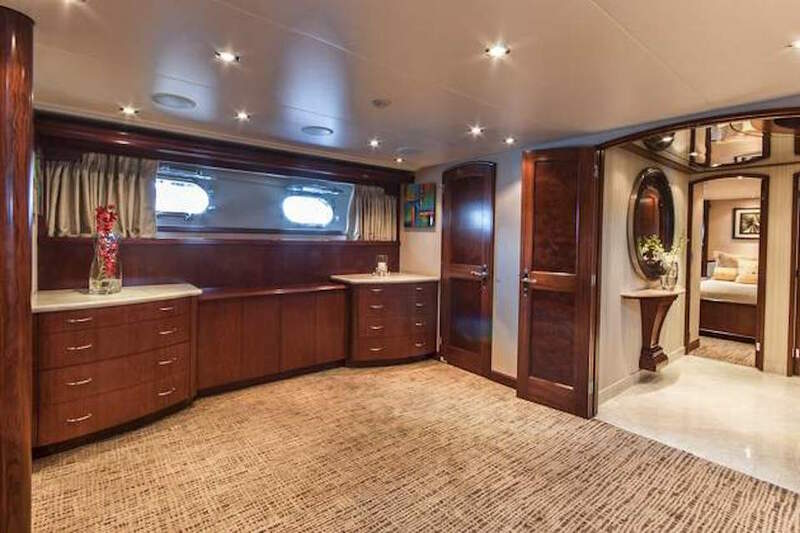 Her neutral carpets together with the rich darks wood compliment the warmth of the salon. 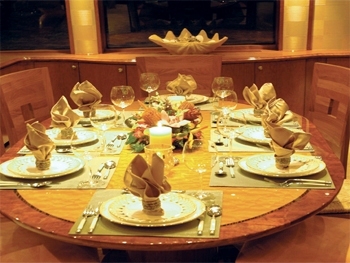 Forward of the salon is a dining table that can comfortably seat ten guests. 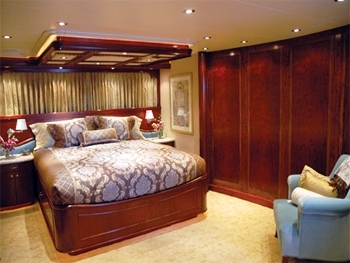 There is a day head on the port side and a staircase leading to three staterooms below. 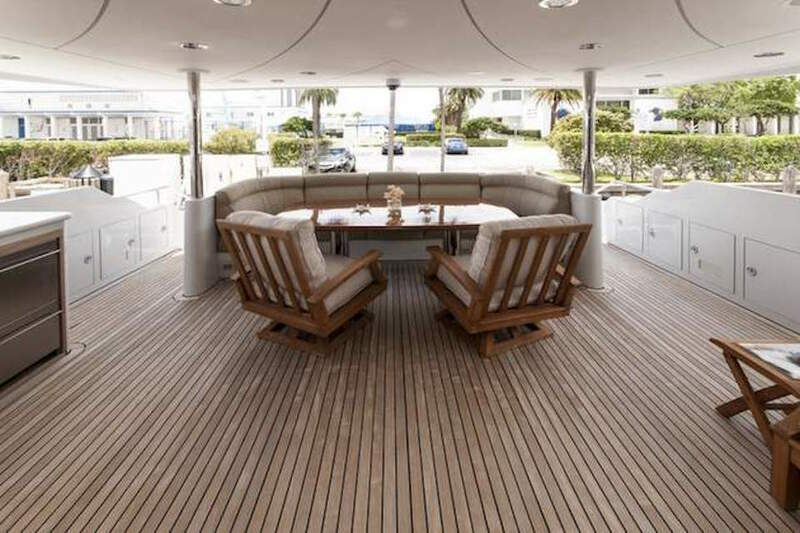 The Aft Deck offers seating and a table for dining alfresco. 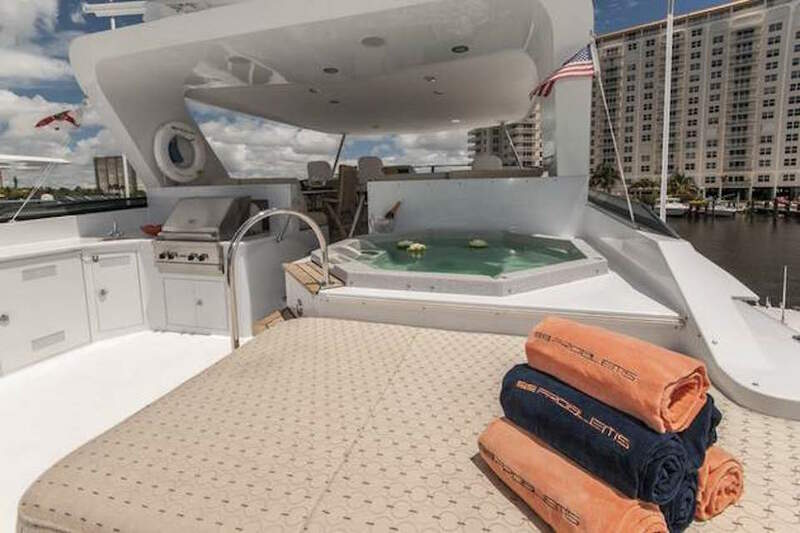 Her swim platform has a shower and custom swim ladder. 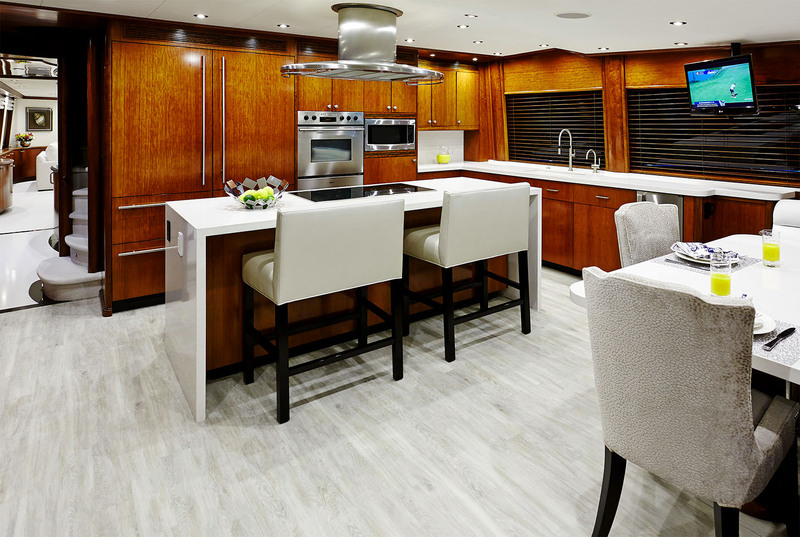 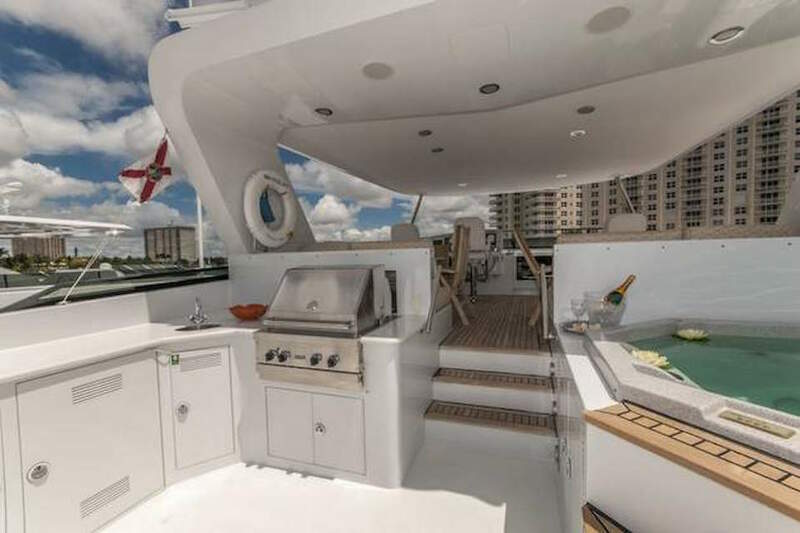 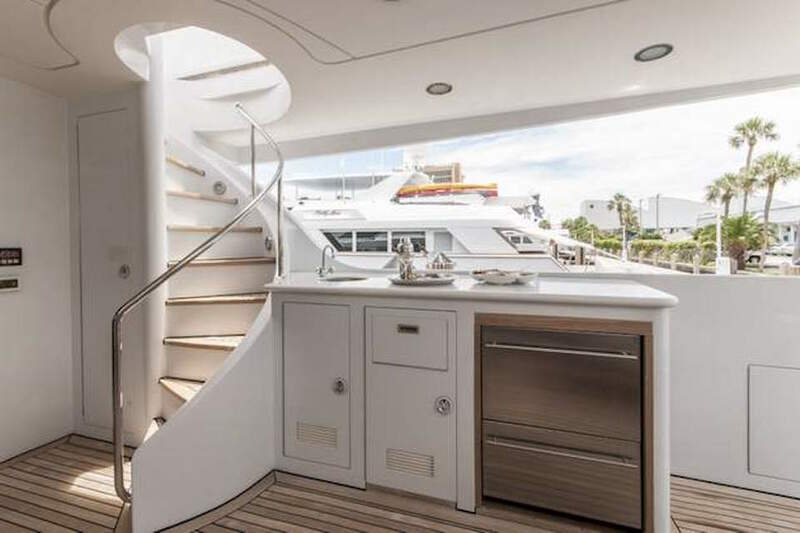 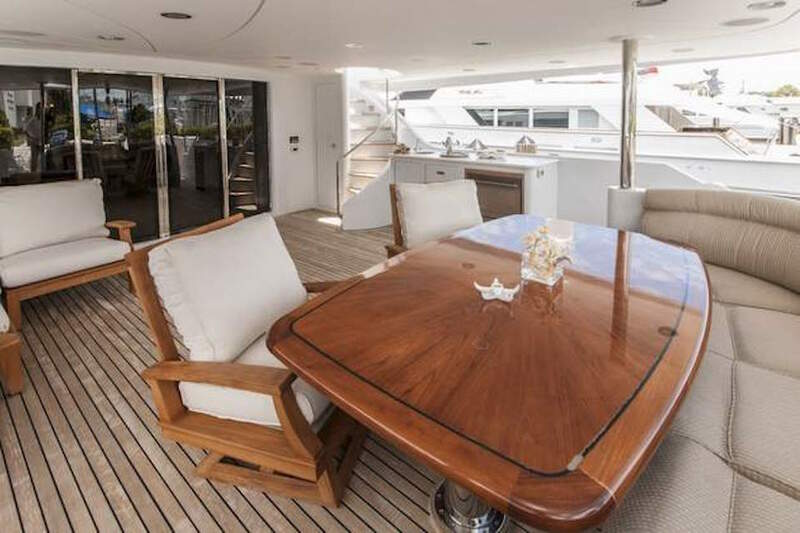 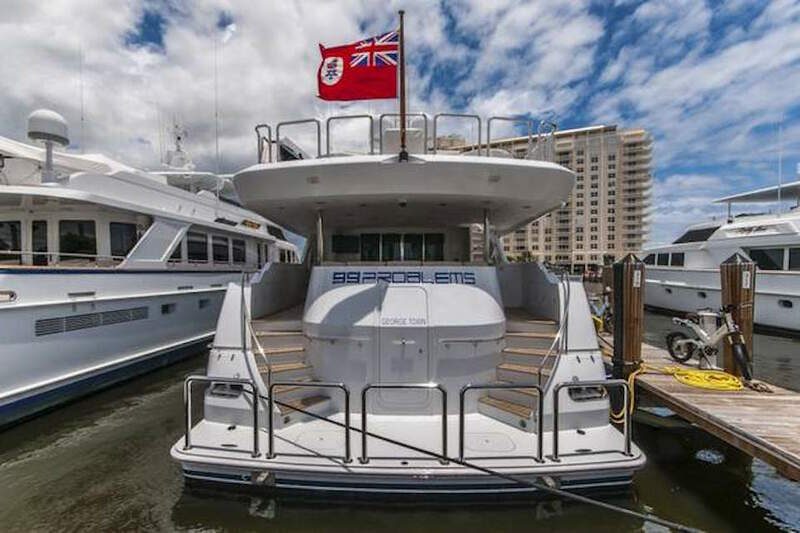 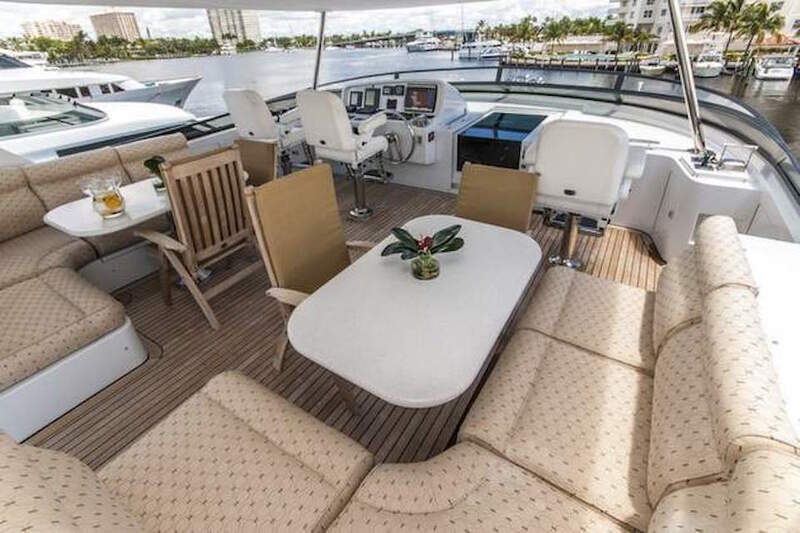 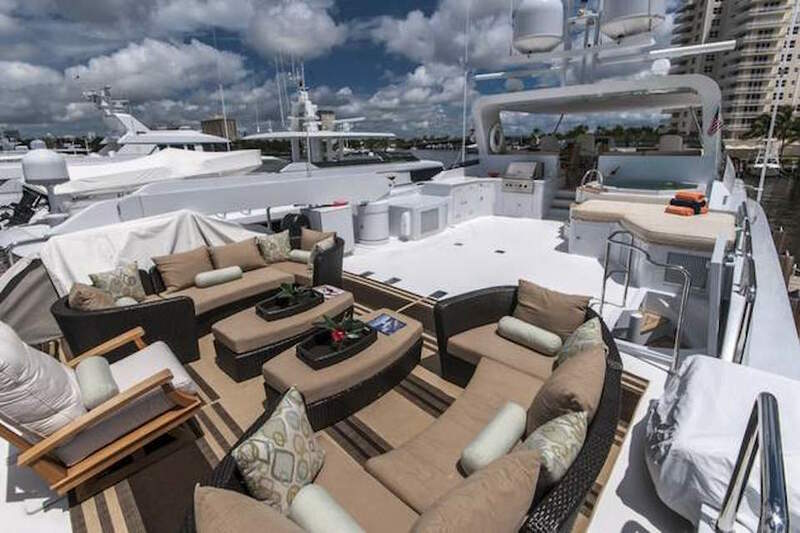 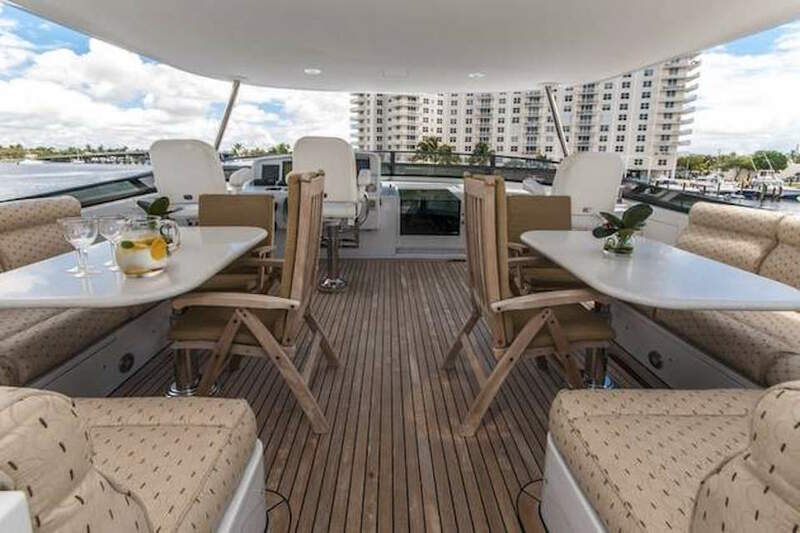 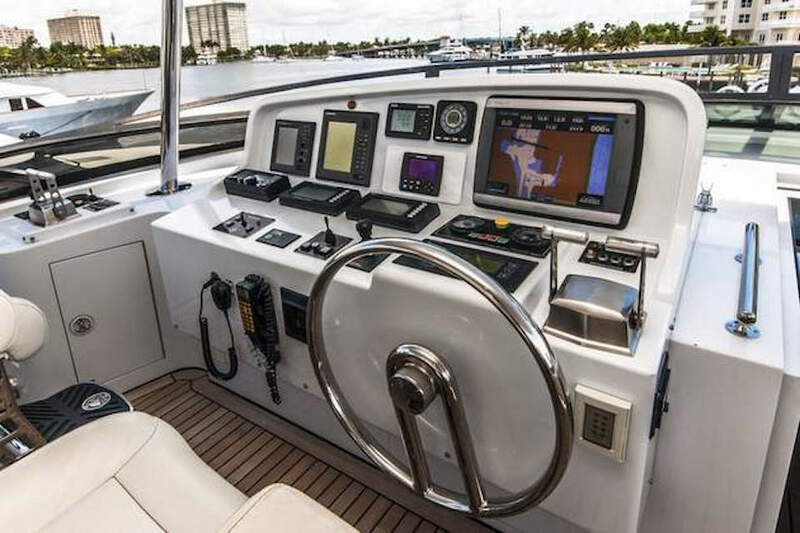 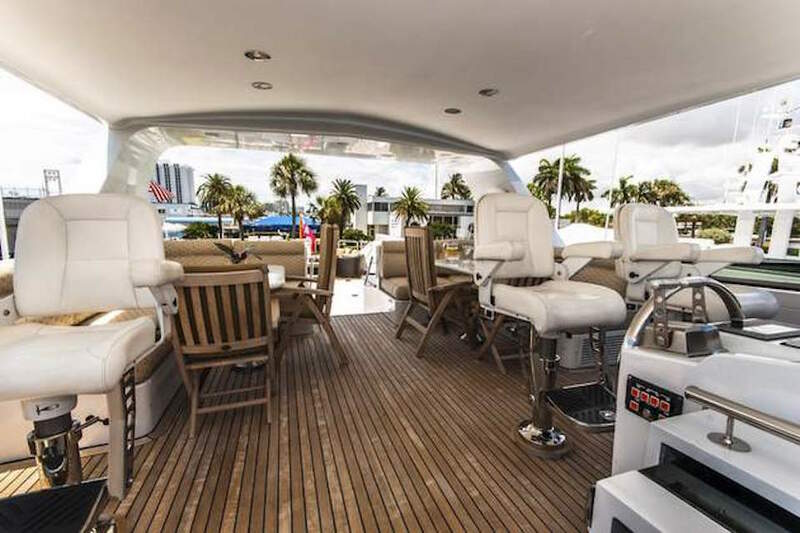 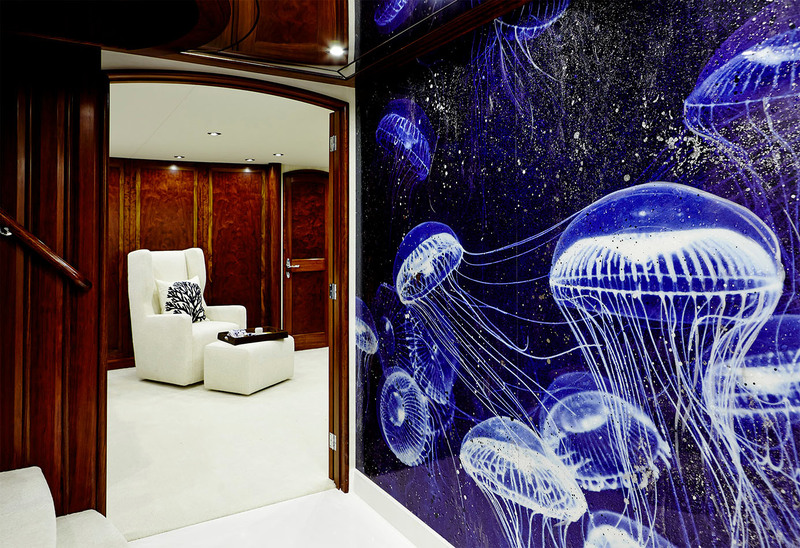 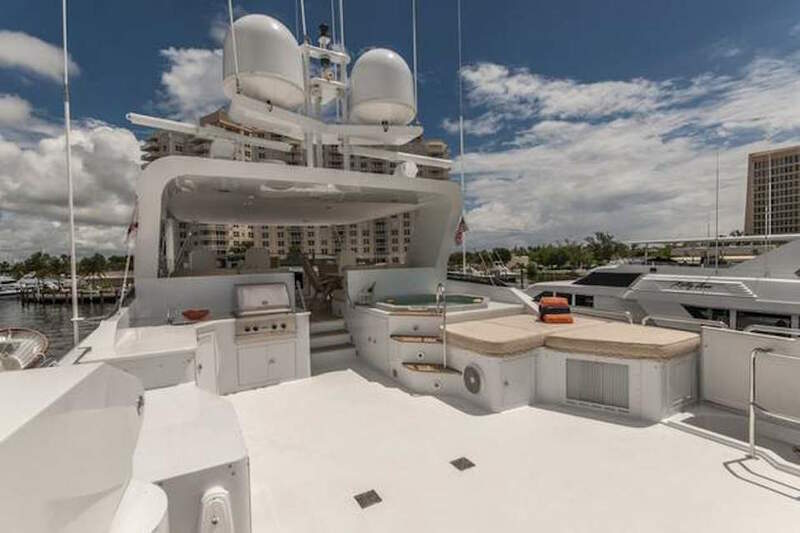 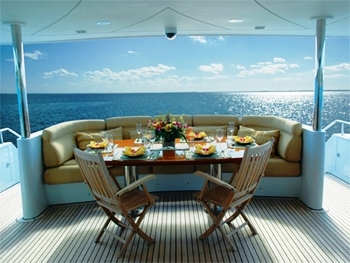 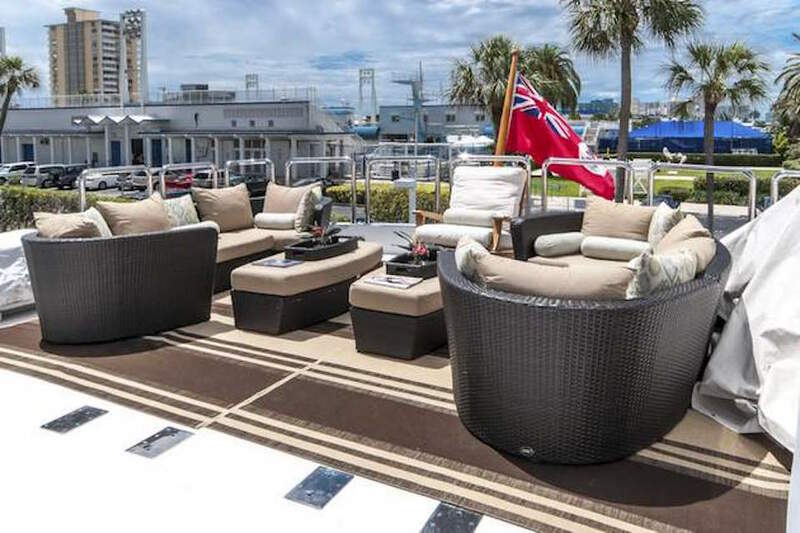 On the Flybridge deck, there are areas for sunbathing and shaded areas. 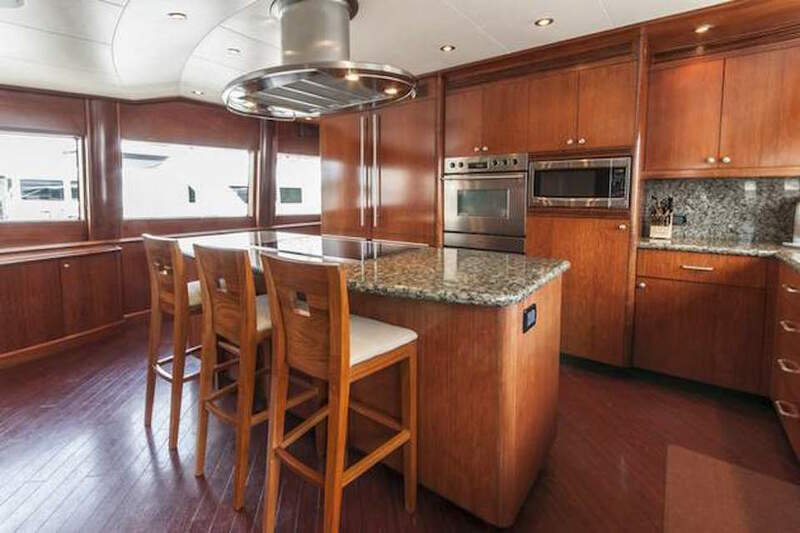 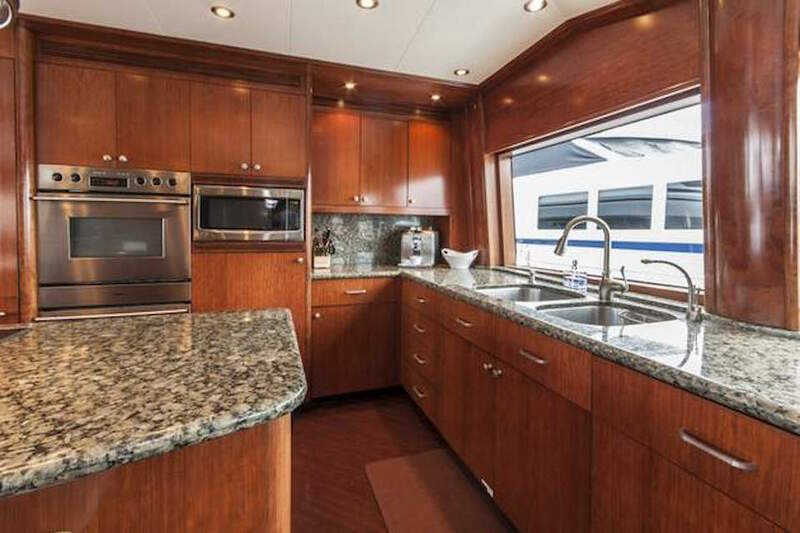 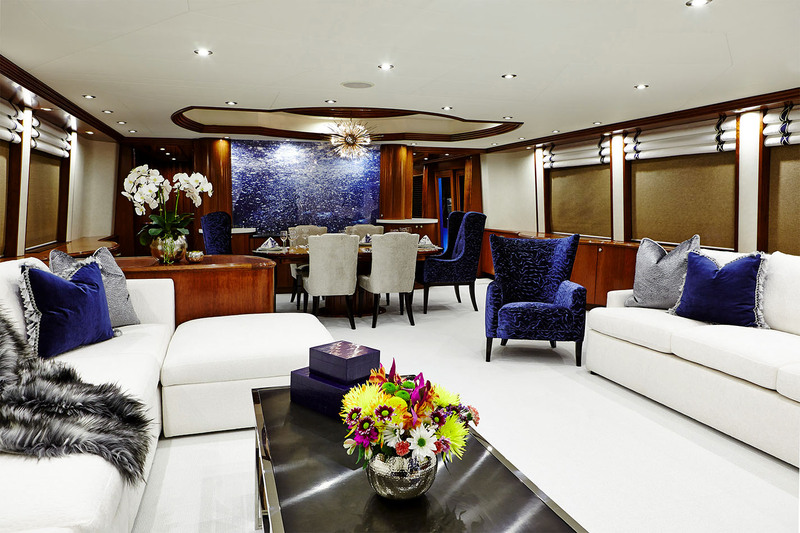 This area features a full-bar with refrigerator and icemaker, three helm chairs, sunpads, BBQ and Spa Pool. 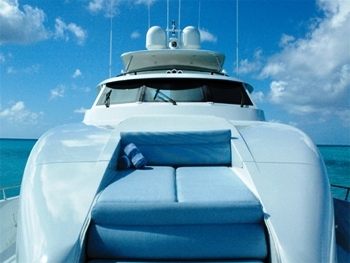 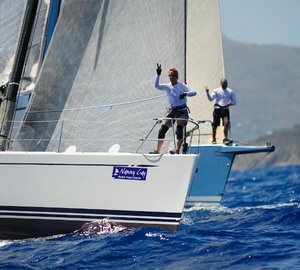 Luxury yacht EQUATION has a crew of 5 ready to welcome you on board in one of the unique destinations she plans to visit. 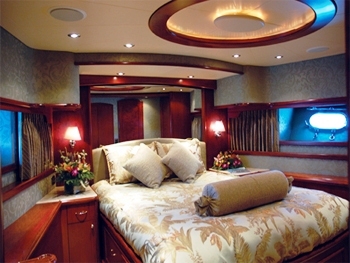 Contact us now for further information. 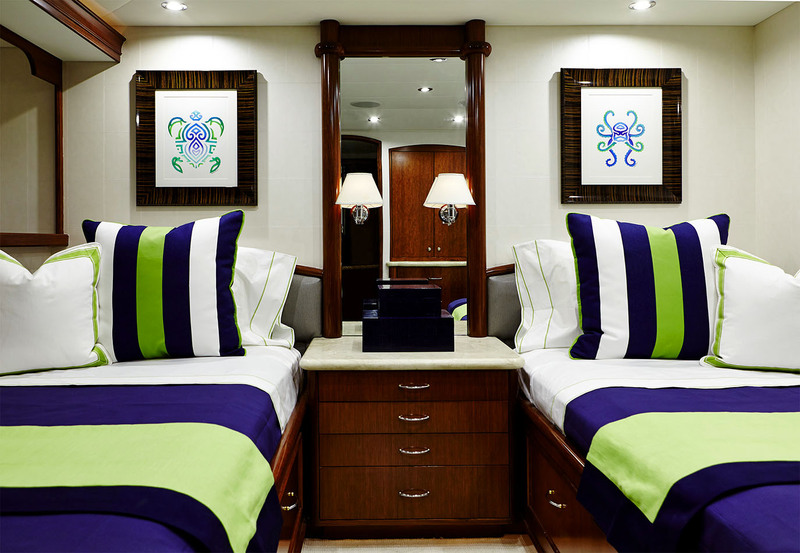 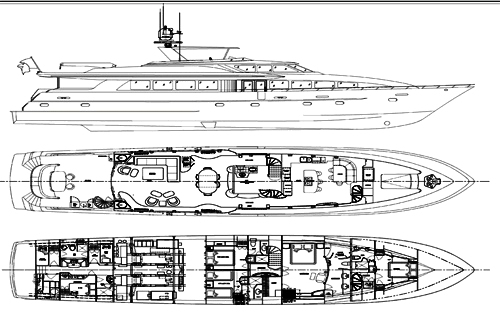 EQUATION can accommodate up to 8 guests in 4 staterooms. 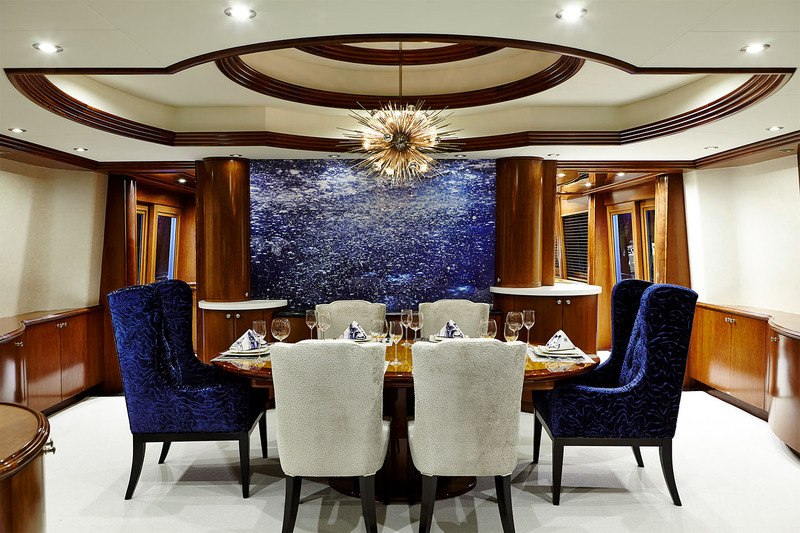 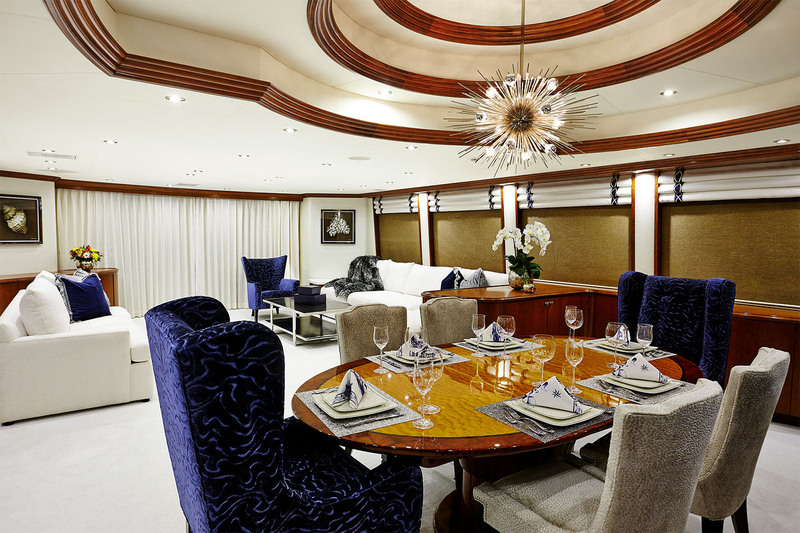 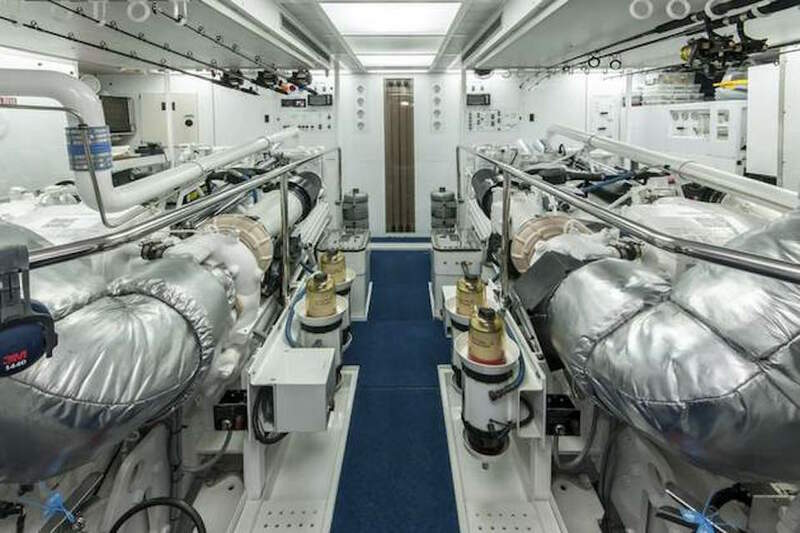 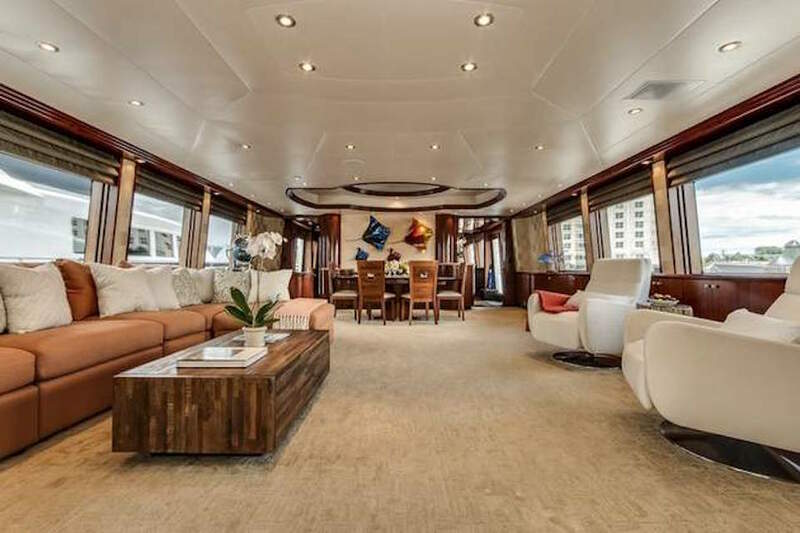 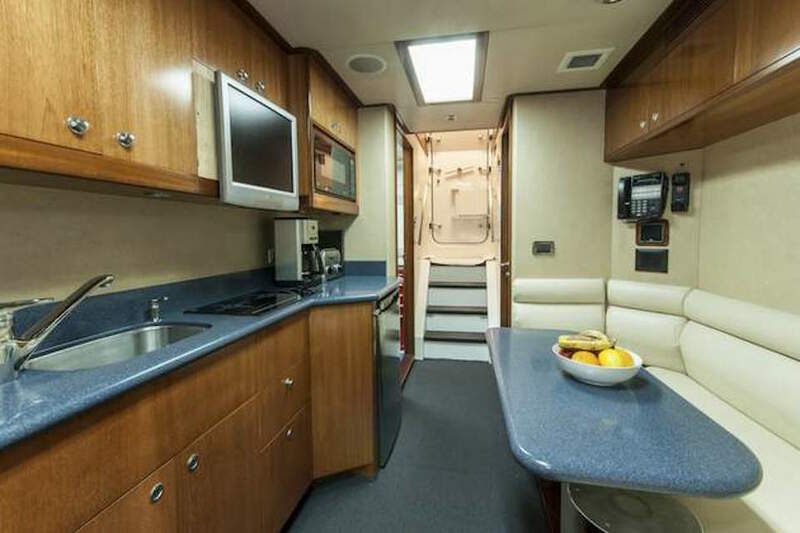 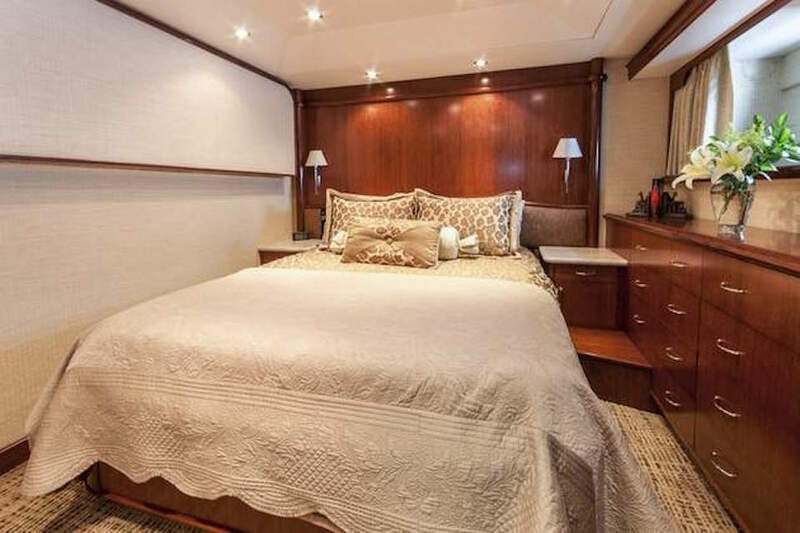 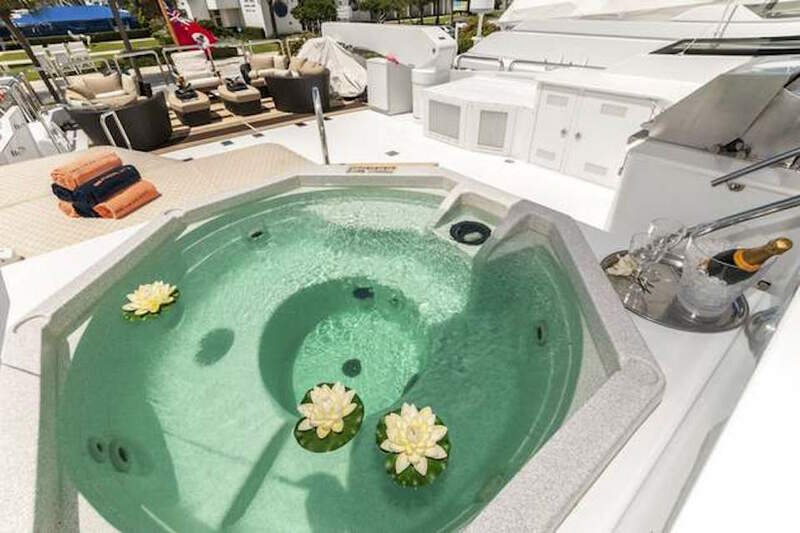 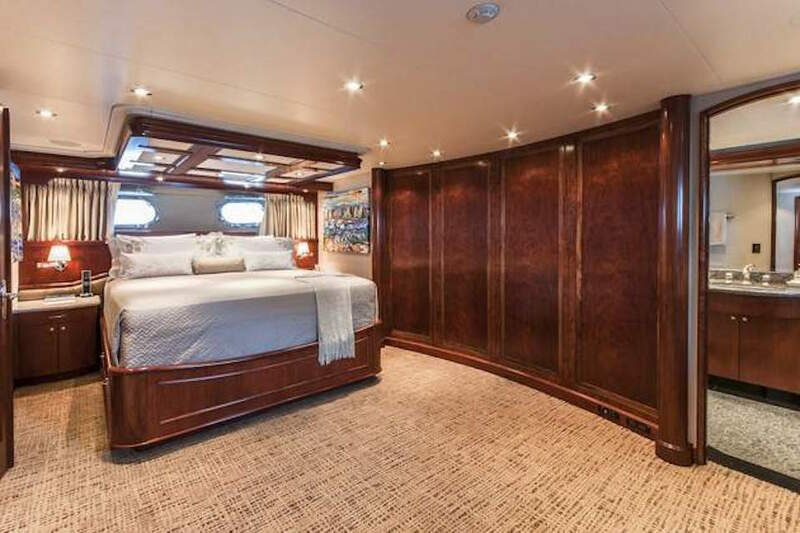 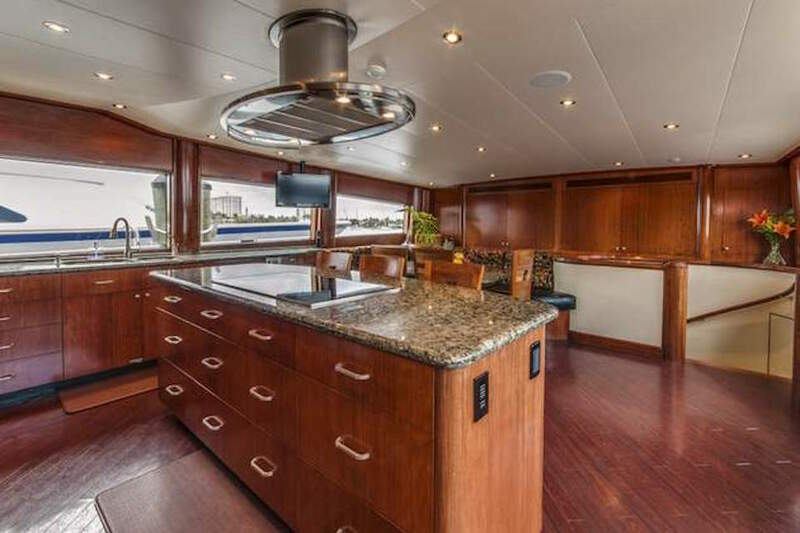 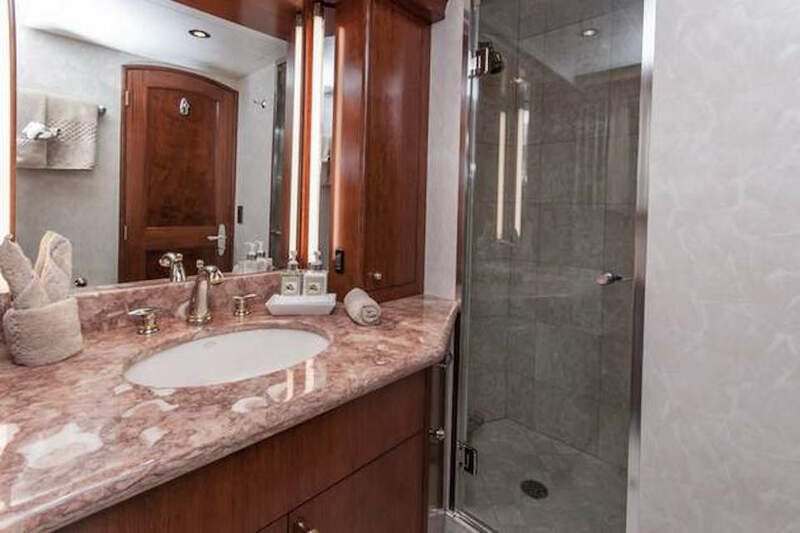 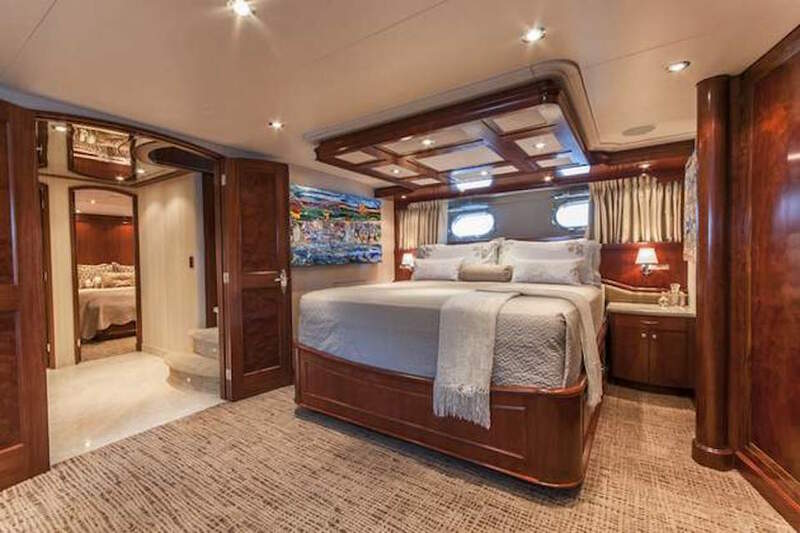 Her Master cabin is full-beam of the yacht with King sized bed, a lavish sitting chair, and a Walk-in closet and a full Entertainment system with pop up flat screen TV. 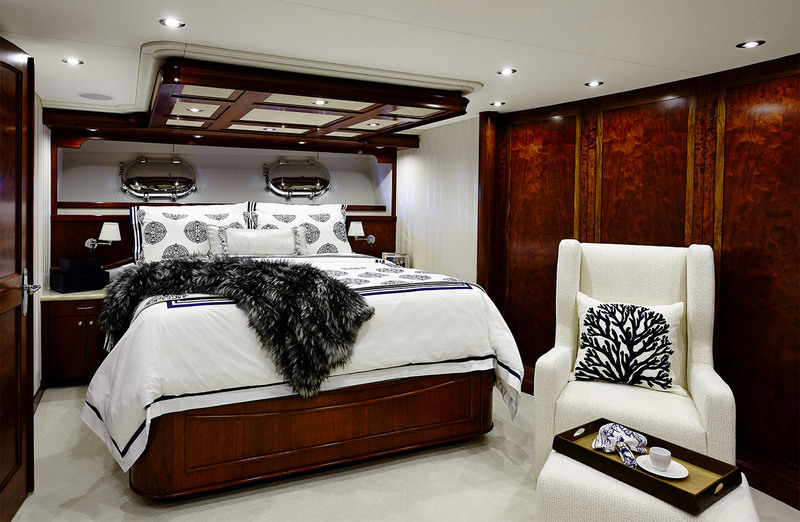 The cabin features rich and inviting materials and décor with soft blue accents. 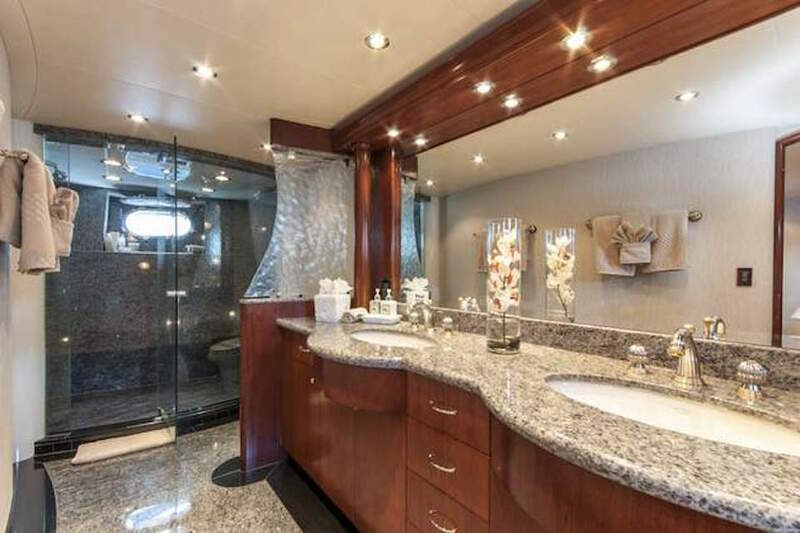 The master ensuite head has double sinks and a spa/steam shower. 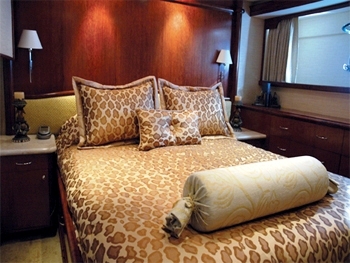 The VIP Stateroom which is located forward has a queen sized bed, an ensuite head and a full Entertainment system. 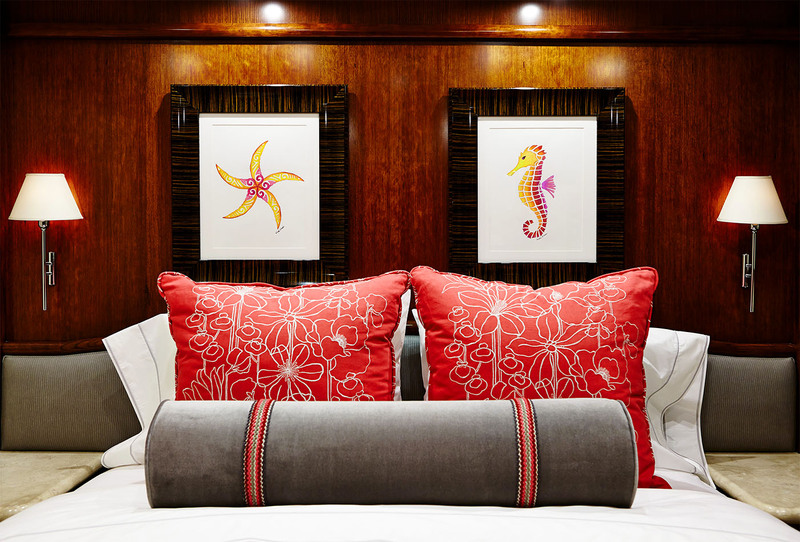 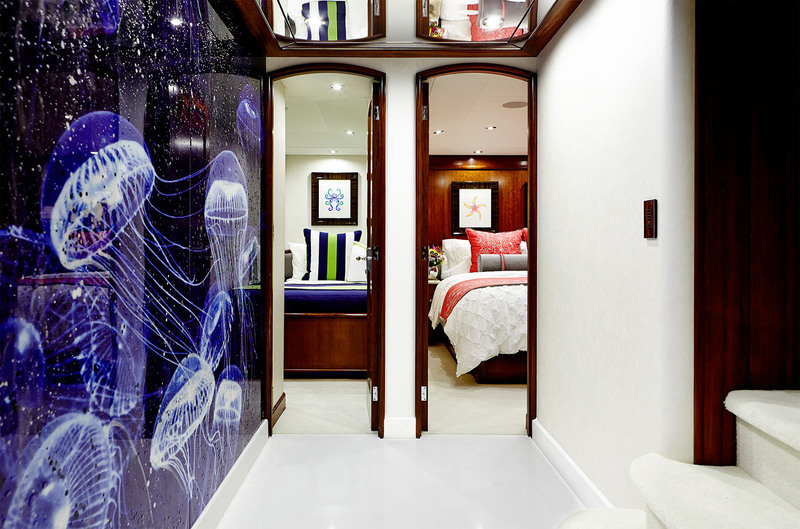 The two remaining guest staterooms are located below to port and starboard. 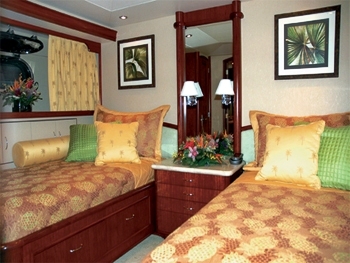 One of the cabins has a queen sized bed, and the other has twin beds. 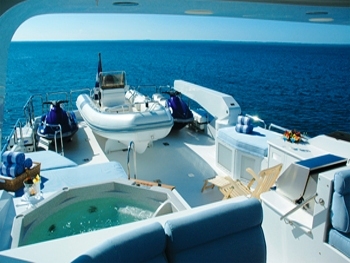 Both have an Ensuite head and a full Entertainment system. 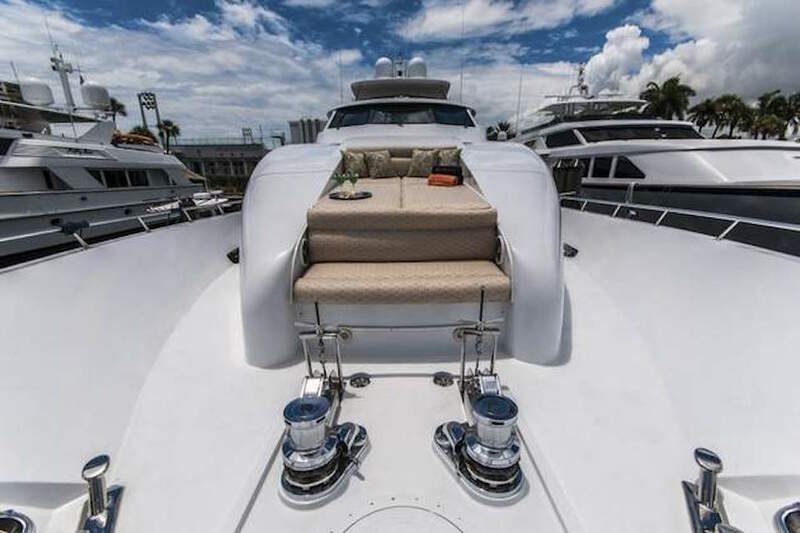 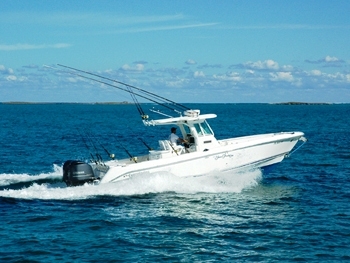 There is a huge range of tenders and toys including a 32ft Everglades with 2 350 V8 outboards, a 17ft Novurania, 2 wave runners, 2 Kayaks, Snorkel gear, Waterskis, Fishing gear, a Wakeboard, Towable toys and Beach toys. 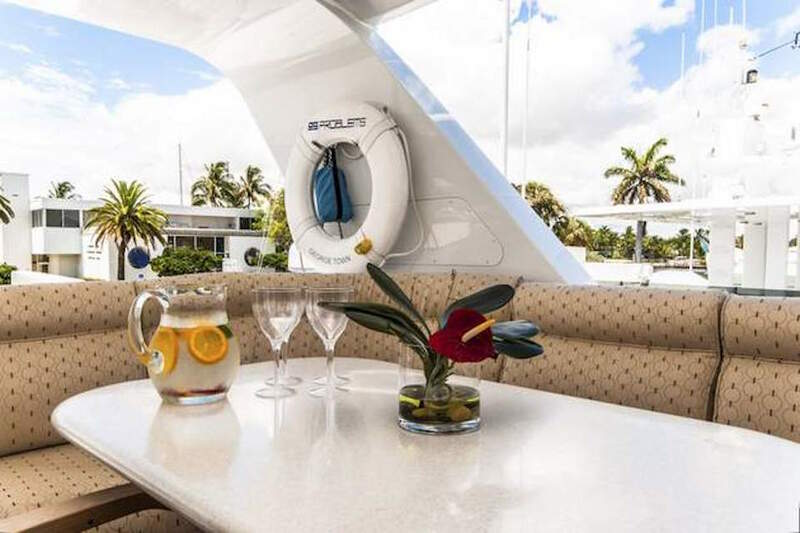 Audio Visual Equipment and Deck Facilities include a centrally located Entertainment system with SAT TV/DVD/MP3/Karaoke/VCR, an iPod and an X-box.